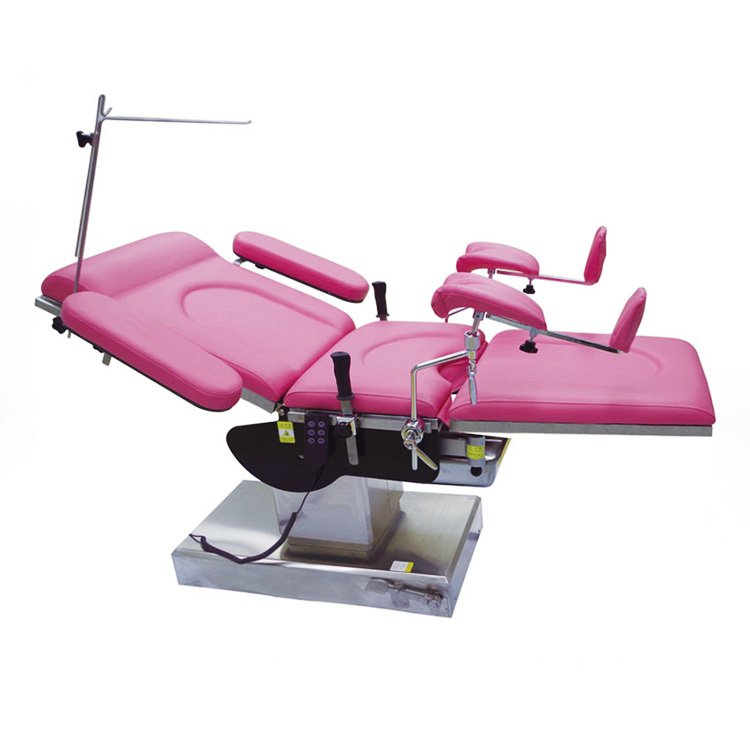 Electric obstetric bed is manufactured by our company according to the market demand and foreign advanced technology. It has many medical functions for obstetrics and gynecology, gynecologic surgery, diagnosis and examination, including emergency caesarean section. The overall horizontal lifting bed, the backboard of the fold, the backboard of the pedal control, easy to use. All the power system uses imported linear motor, which has low noise, stable performance, beautiful appearance, easy to clean. 1. Imported brand motor various action are controlled by remote controller. 2. The table,base seat and upright column covering are made of high quality 304 stainless steel which is anti-corrosive and can be easily cleaned. 3. The mattress adopts high density memory sponge and is once formed, with no seam. 4. Whole stainless steel hidden auxiliary table with flexible extension and retraction. 5. Equipped with stainless steel sewage basin and other accessories. 6. Foot treadle brake device which is easy for moving obstetric table. Looking for ideal Obstetric Delivery Bed Manufacturer & supplier ? We have a wide selection at great prices to help you get creative. All the Electric Obstetric Bed are quality guaranteed. We are China Origin Factory of Obstetric Examining Bed. If you have any question, please feel free to contact us.